Unleash a Rainbow Bridge of color! If ye be worthy, lift your pencils, crayons or markers aloft, and have at page after page of mighty artwork featuring Thor, along with his many friends and foes! 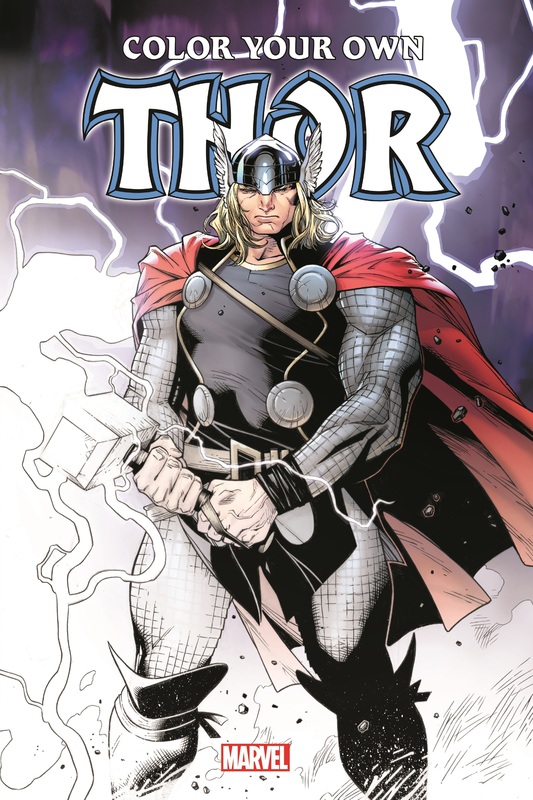 Whether it's the original Thunder God himself or Jane Foster, Sif or the Warriors Three, they're all rendered here in black and white, waiting for you to fill in between the lines. But watch out for Loki - he's tricky! 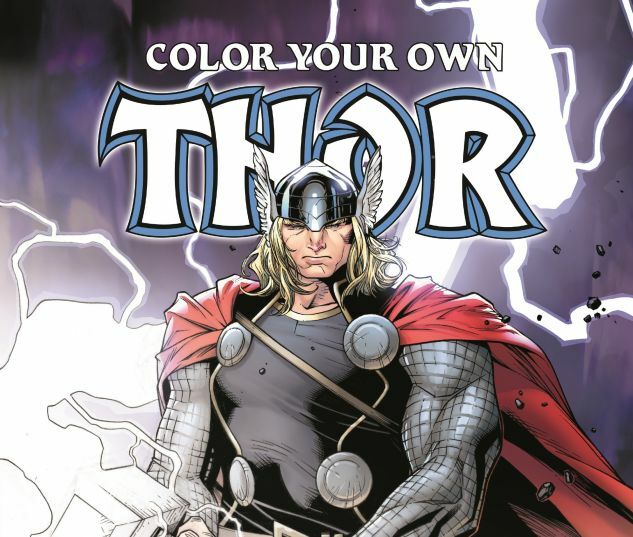 From Asgard's gleaming towers to Midgard's city streets, action shots from Marvel's finest artists demand you bring them to life in glorious color - whether you stick to the classic hues or make your own multicolored mythology! Why not a magenta Mjolnir? Or a damson Destroyer? And as for orange? Odin's beard, the possibilities! One thing's for sure: It'll be legendary!